The marine navigation technology leader now on your iPad: navigate safely with the best marine navigation application. 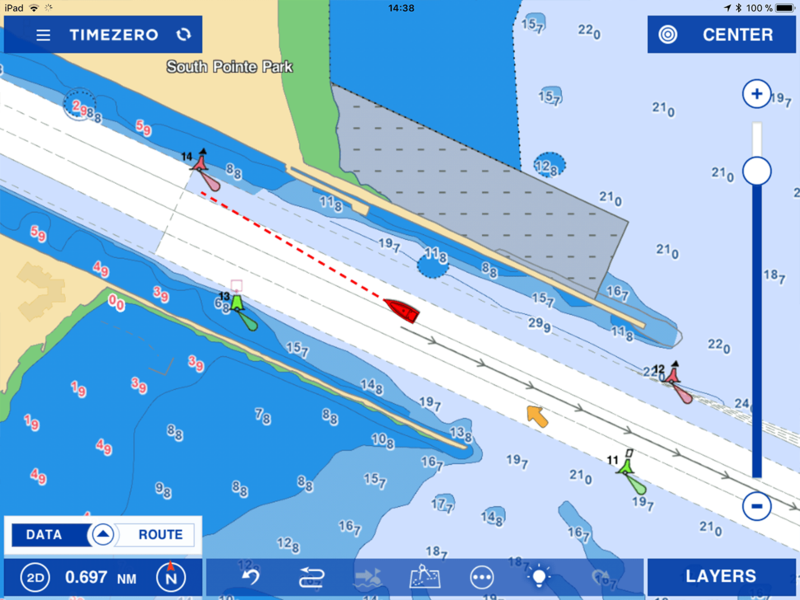 A real-time marine chart app for real sailors! TZ iBoat, the latest innovative app for coastal sailing powered by the world leaders in marine navigation solutions for over 30 years. It features easy-to-use functionalities and the fastest and smoothest chart display ever, as well as 3D data and weather information for an unparalleled experience. The smooth handling of the iPad and TZ iBoat gives you the freedom of movement. Cutting-edge technology right in your hands! Experience coastal navigation that uses the same technology as the most advanced sailors do with TIMEZERO, directly from your iPad. 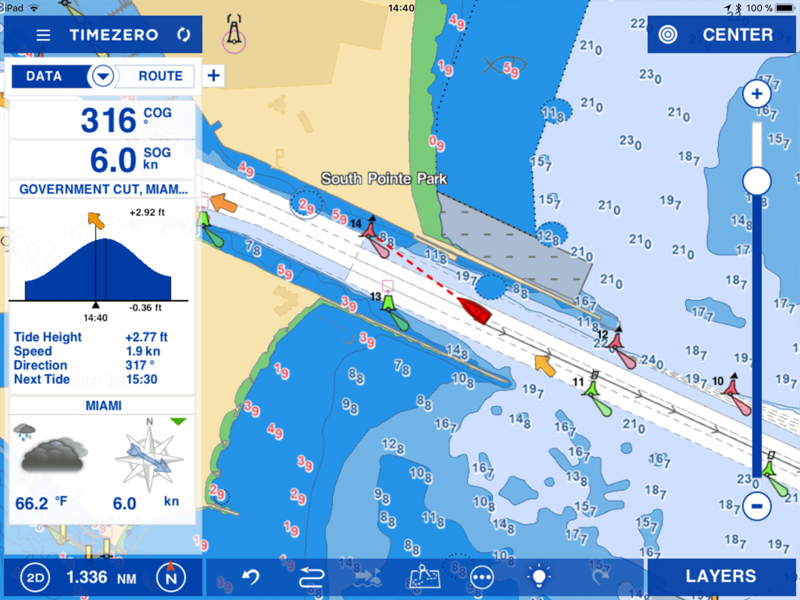 Just like the PC marine navigation software, the app has been developed from TIMEZERO technology. Thanks to this technology, zooming in or zooming out is smooth whether using Raster or Vector marine charts. 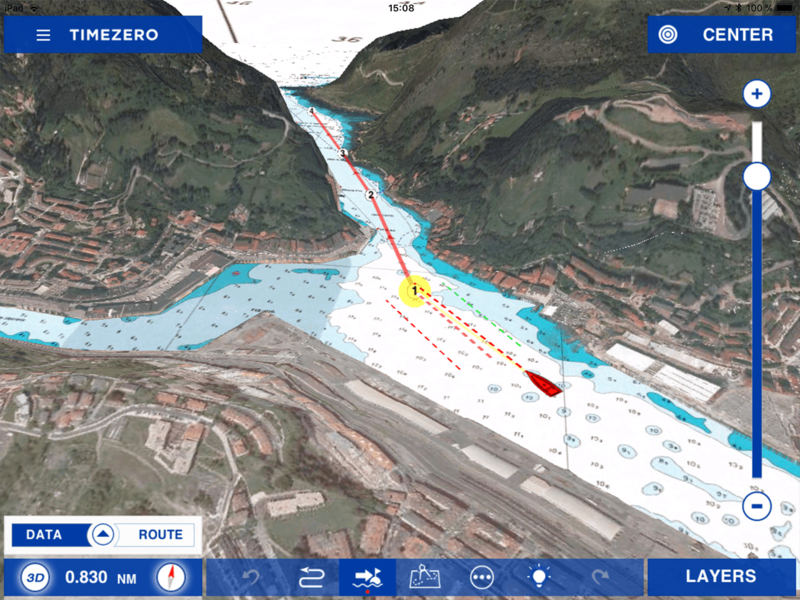 The user interface allows you to go from one waypoint to another (Go to tool), choose the orientation (Course up or North up), go back to your vessel (Center On vessel) and switch from 2D to a 3D full view in just one click. 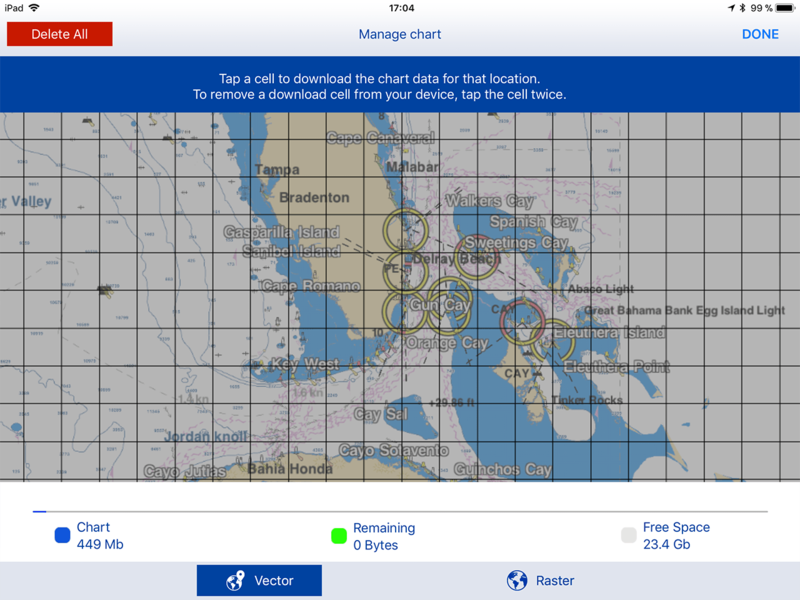 Position on the Raster and Vector chart: plot your position in real-time on the marine charts thanks to the built-in geolocation features of your iPad such as GPS and/or WiFi. 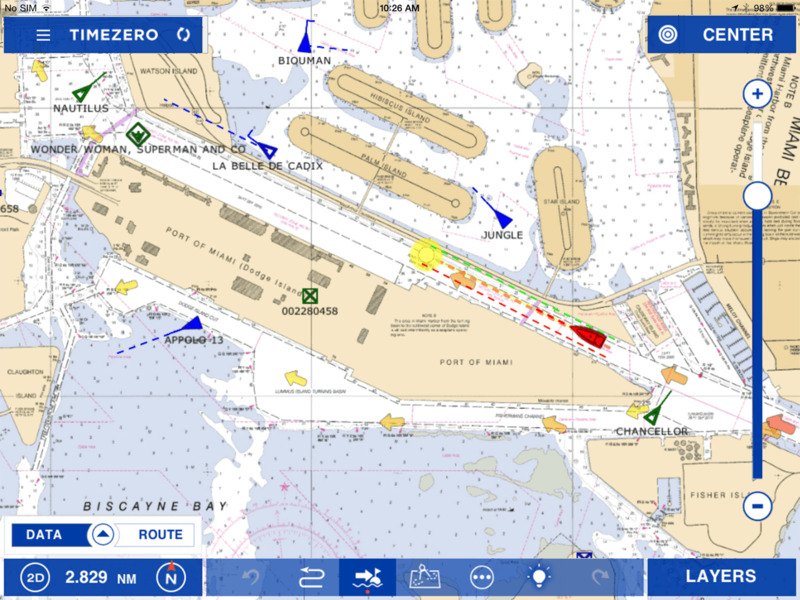 Navigation in 2D or 3D Perspective: the revolutionary TIMEZERO chart engine allows for scrolling, zooming and rotating the oustanding MapMedia Raster and Vector charts in no time as well as seamless switching from 2D to 3D mode. 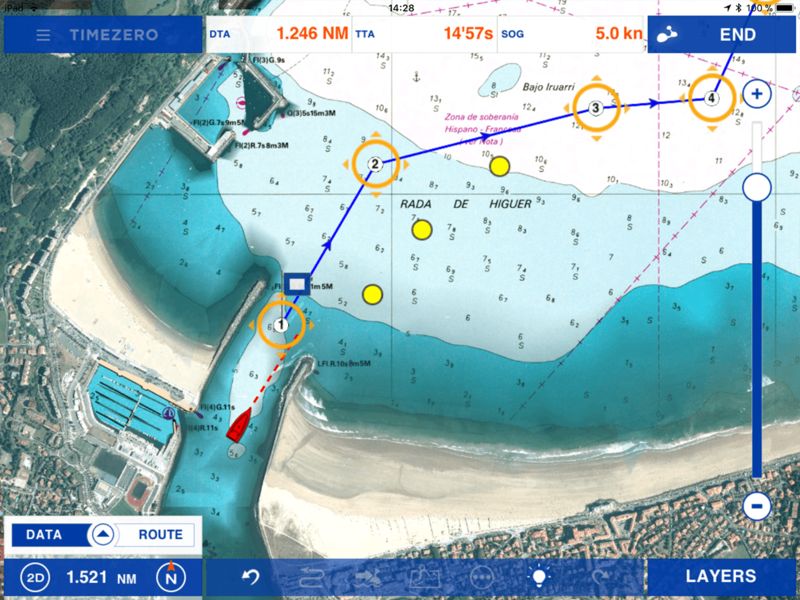 Routes and marks: with TZ iBoat, you can easily create waypoints and routes, overlay tidal information and satellite photos* for a more complete display. NavData: configure and personalize your NavData panel to only show the specific instrument readings that are most useful to you: COG, SOG, Pos, Accu., CTS, NEXT, TTG, DTW, XTE, VMC, ETA, TTA, DTA and Weather. MyFriends: the new MyFriends feature lets you connect with other friends who use TZ iBoat so that you can view their boat's position in real time. If you are a TZ iBoat user or if you are curious about the the latest innovative app features, we strongly recommend you to sign up to our newsletter by clicking here. TZ iBoat gives you access to a chart catalog covering navigation areas worldwide including the latest vector chart data. Once you have downloaded the app, choose to access one or several navigation areas. You can even combine raster and vector charts to navigate in the safest conditions. Connect and display your marine navigation equipment data with two optional modules. In addition to the free app’s main features, TZ iBoat offers optional features for you to make the best of your coastal navigation. Two modules have been developed to allow connecting and receiving your marine equipment data such as your radar (Furuno DRS4W) and your AIS receiver. 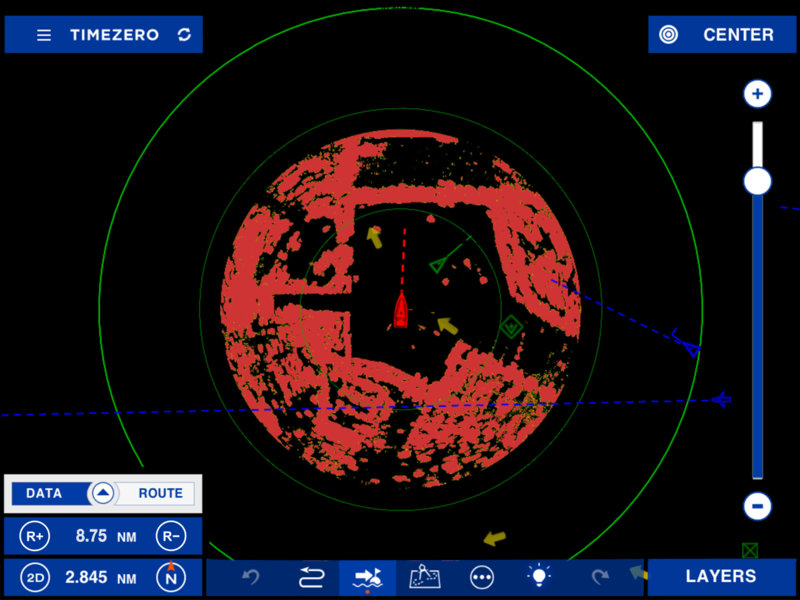 Radar module: this module makes it possible to connect your DRS4W Furuno radar to your TIMEZERO application to overlay in real-time the radar image directly on your marine chart. You can also display the traditional radar screen on your TZ iBoat. Operating on a Wifi network, simply plug in the radar power cable and you are ready to go! AIS module: this module allows you to monitor maritime traffic in your navigation area. It will increase your safety by displaying all AIS targets on your iPad thanks to your AIS wifi receiver and emitter. 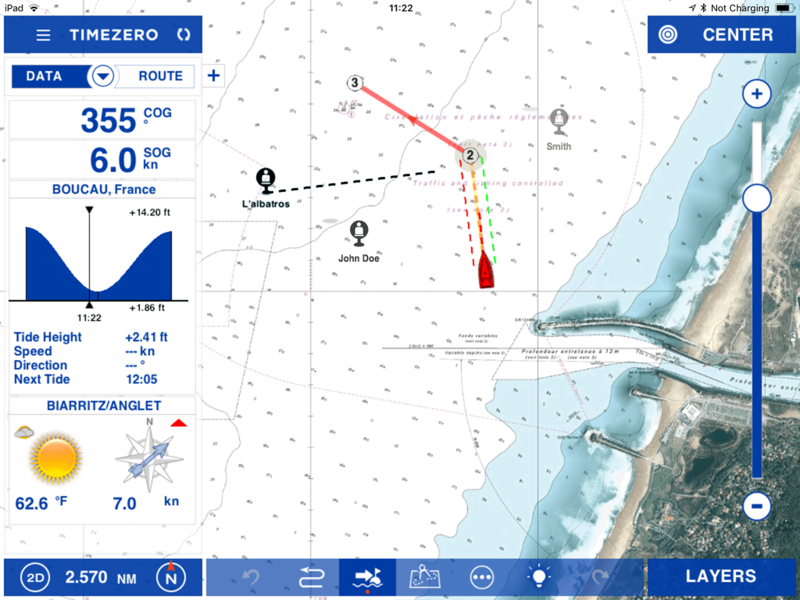 Download TZ iBoat Marine Navigation!